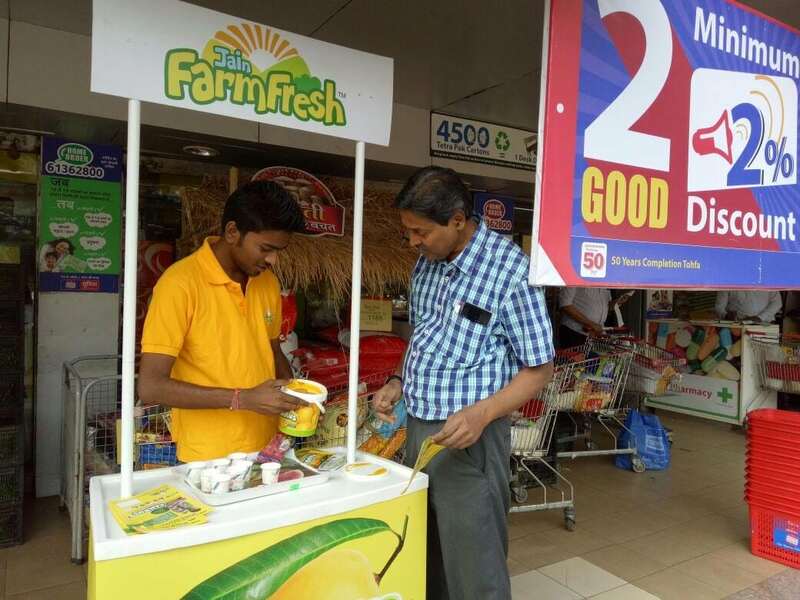 Jain Irrigation System Ltd is a company focused on fulfilling the vision to ‘Leave this world better than you found it’ launched new division Jain Farm Fresh to initiate and complete the Agri value chain two decades ago. 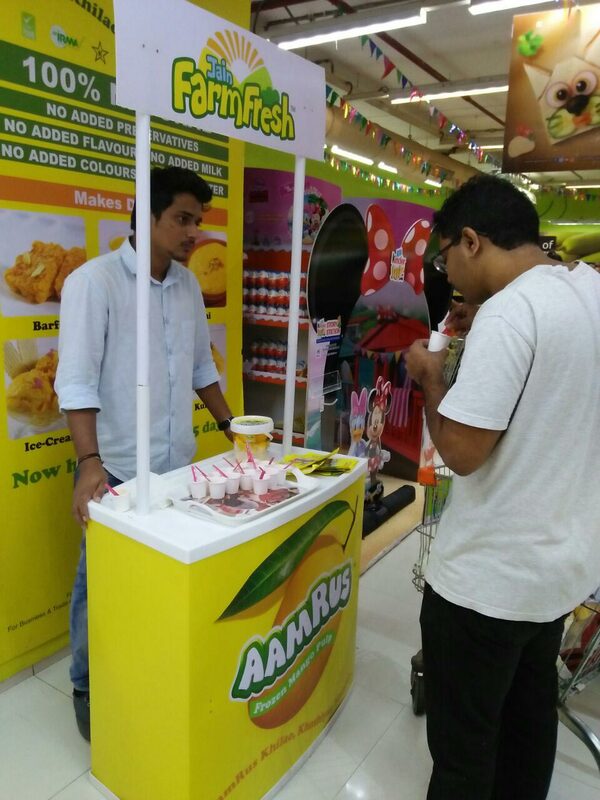 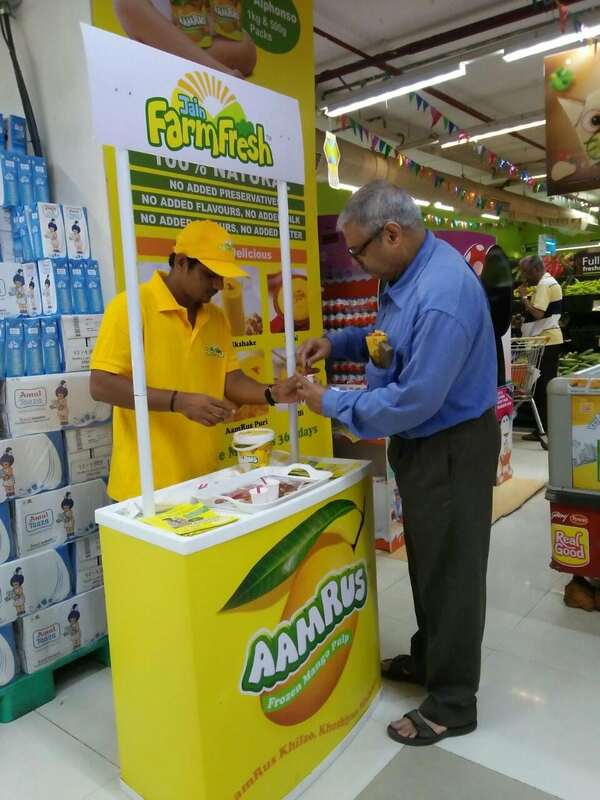 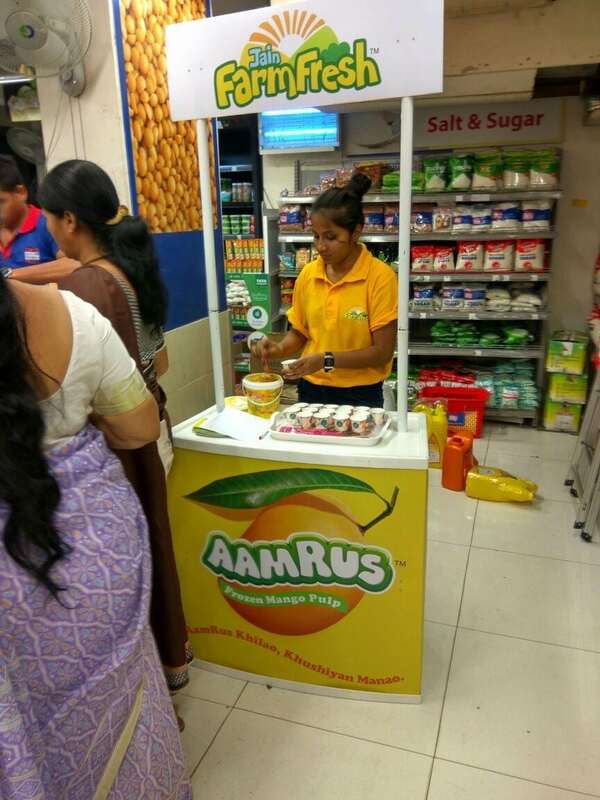 Jain Farm Fresh introduced Frozen Sweetened Mango Pulp, 100% Natural product name AamRus. 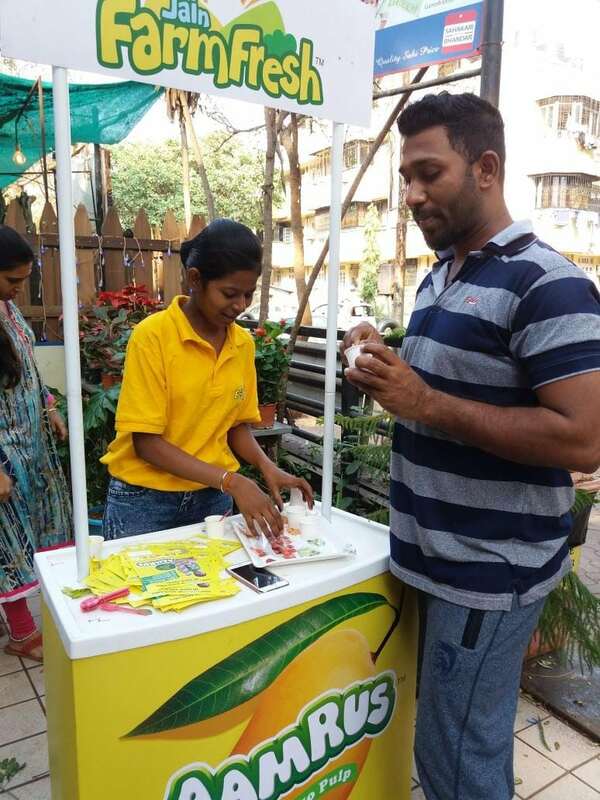 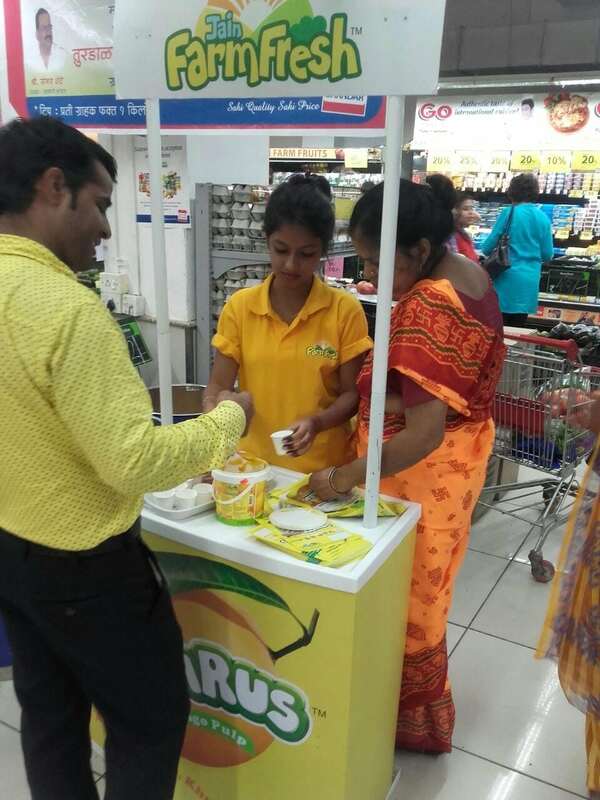 The objective of the company was to reach out to consumers and introduce to them the best real natural Mango frozen product in the market. 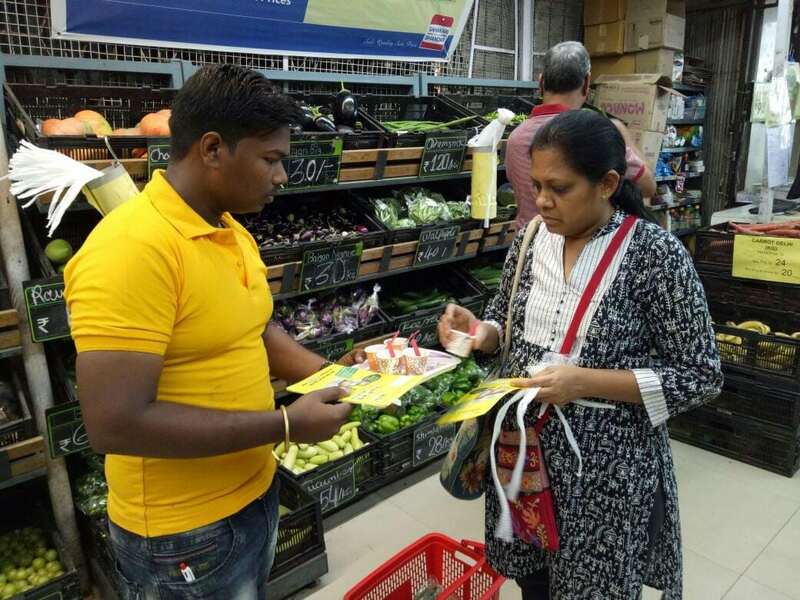 Modern trade sampling activity was planned for this purpose in Mumbai city. 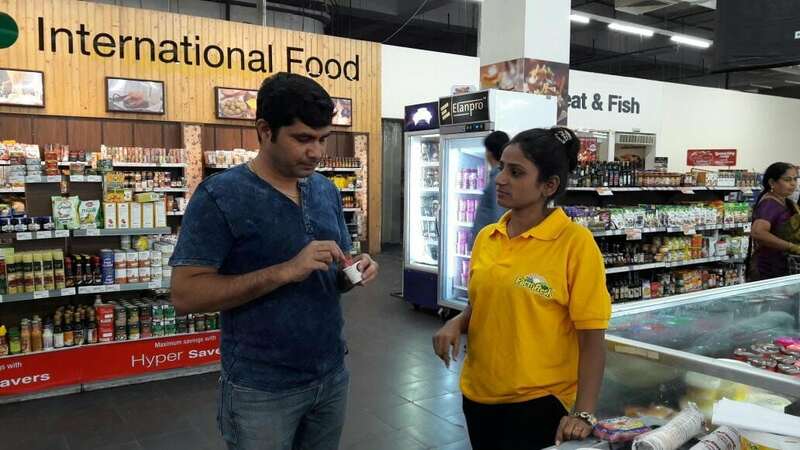 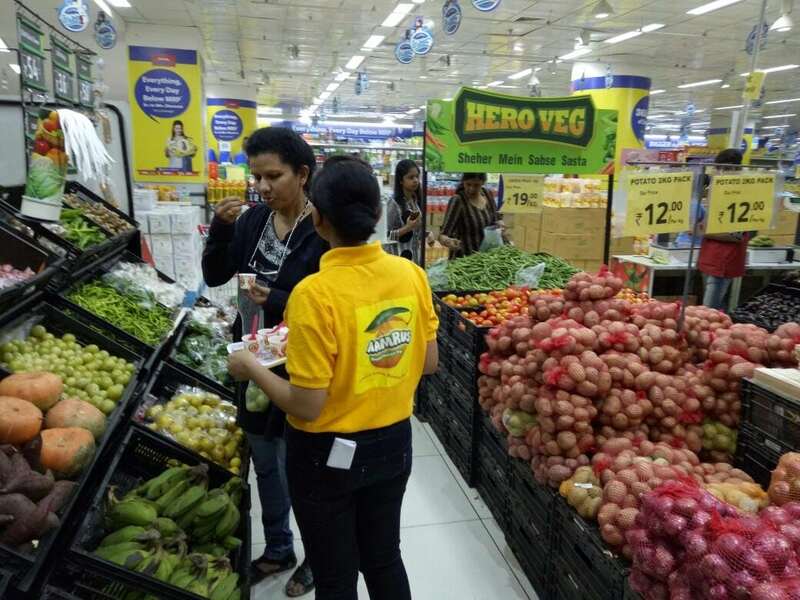 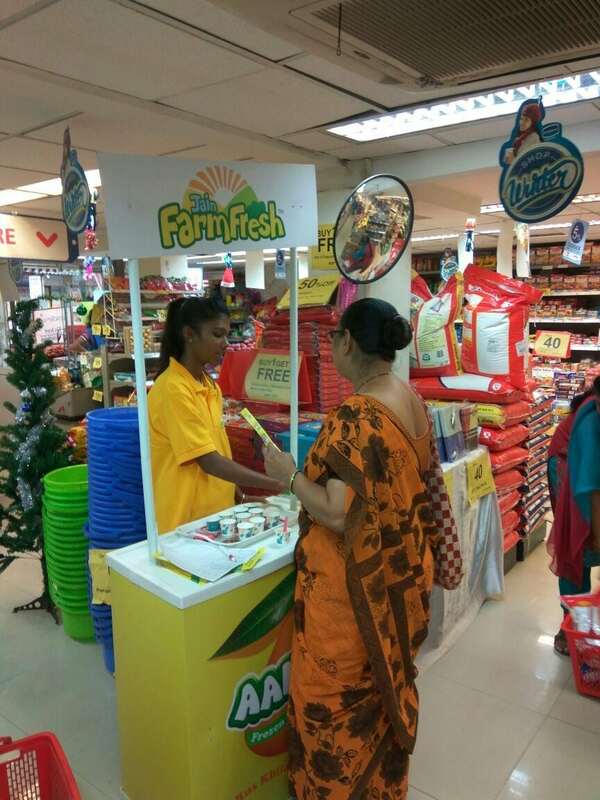 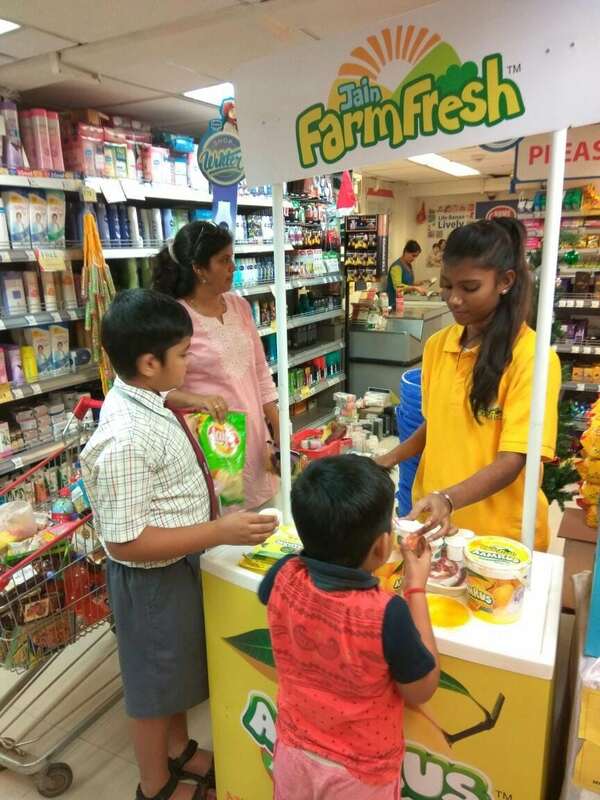 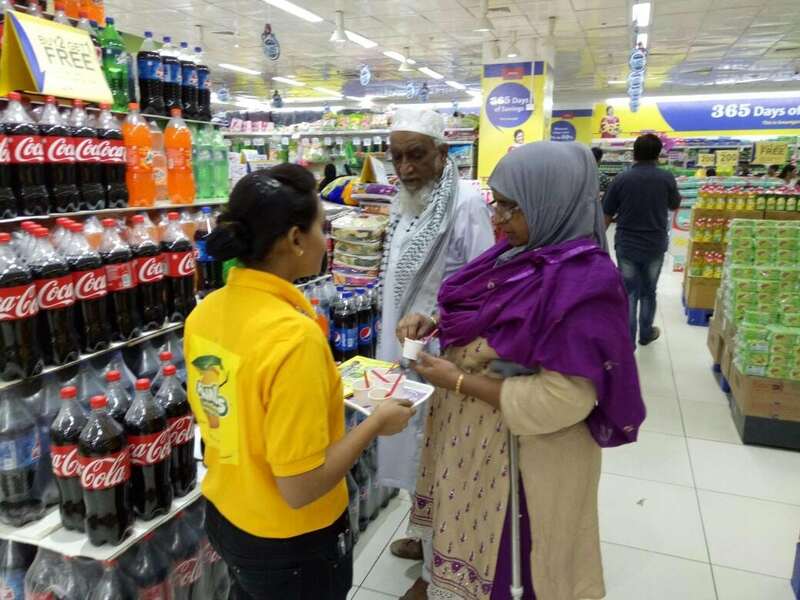 Outlets like Hypercity, Reliance Fresh, Star Bazar and many more were targeted to conduct the sampling activity. 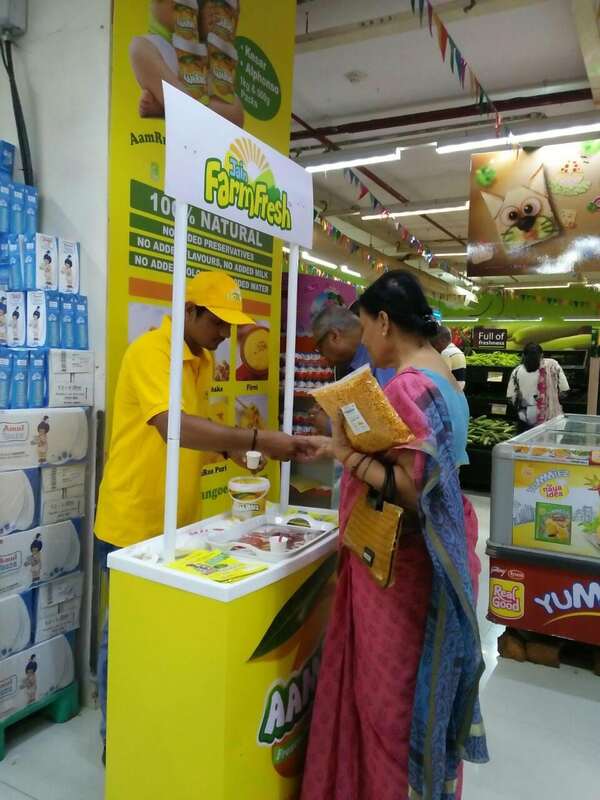 Promoters sampled the product to the consumers leading to purchase. 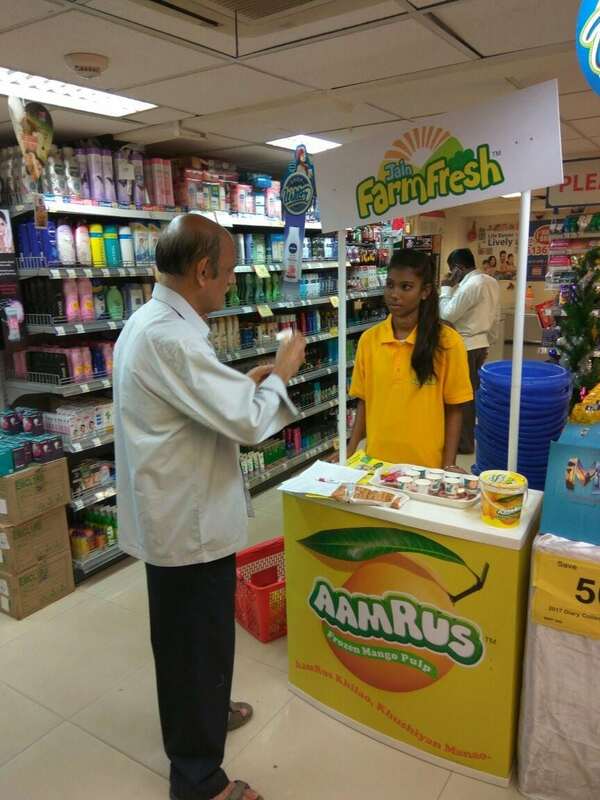 Activity was successful in creating demand for the product in Mumbai market.